We are now proud to supply our customers a professional range of high quality lecterns for their events. A range of modern acrylic and aluminium lecterns in different styles and finishes to complement your event. 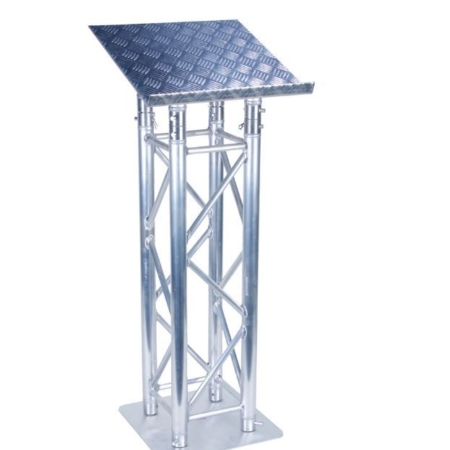 Our new range of Astralite truss, quad, ladder and acrylic lecterns are an ideal mix of industry standard presentation lecterns through to our professional conference models ready to hire for your next event.